Feminist Ryan 거위 새끼, 고 슬링. "new tumblr of "Ryan 거위 새끼, 고 슬링 'Hey Girls'" to emerge: Feminist Ryan Gosling. Now I have no idea if Ryan 거위 새끼, 고 슬링 is actually a feminist, but a girl can dream can't she?" - Bust Magazine. 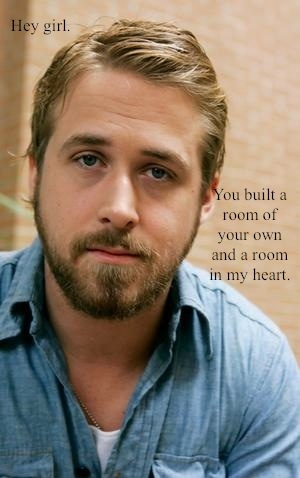 Wallpaper and background images in the Feminism club tagged: feminist funny ryan gosling actor feminist ryan gosling. This Feminism photo contains 초상화, 얼굴, 근접 촬영, 얼굴 만, 세로, and 헤드샷.